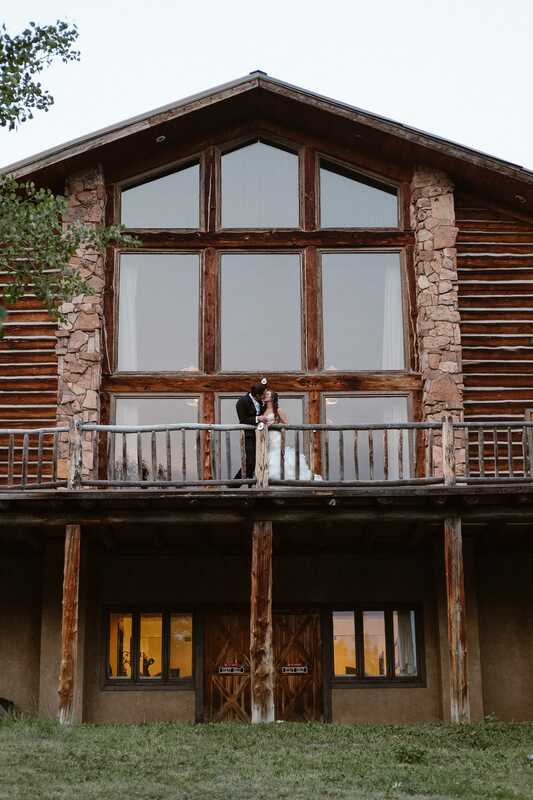 Jessy and Brian booked me as their Dao House wedding photographer last fall. 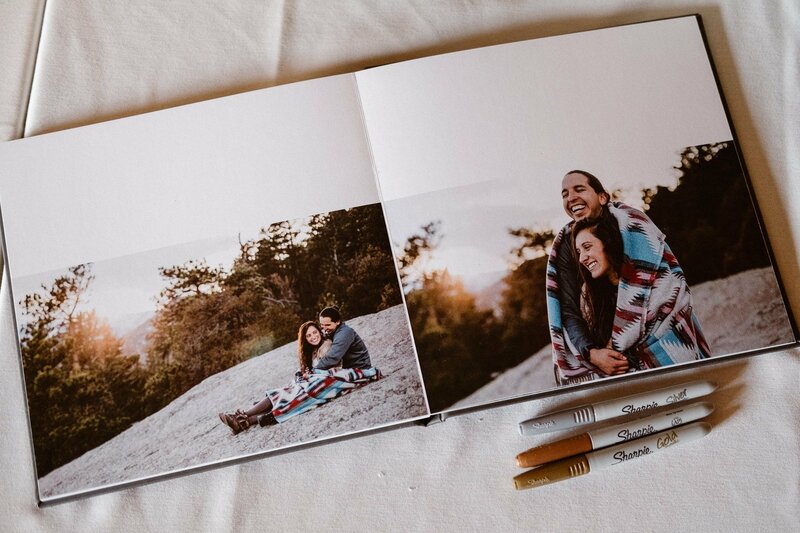 We got to know each other better on a cold and steep hike in Rocky Mountain National Park over the winter when I did their engagement photos. 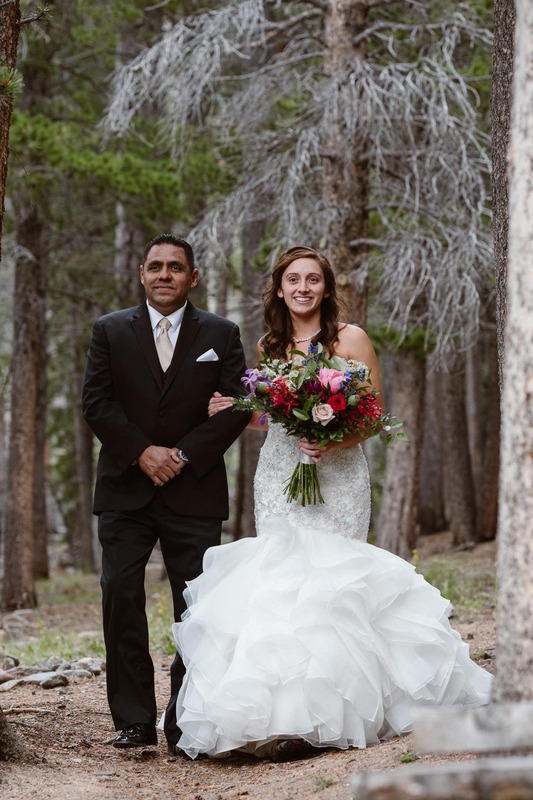 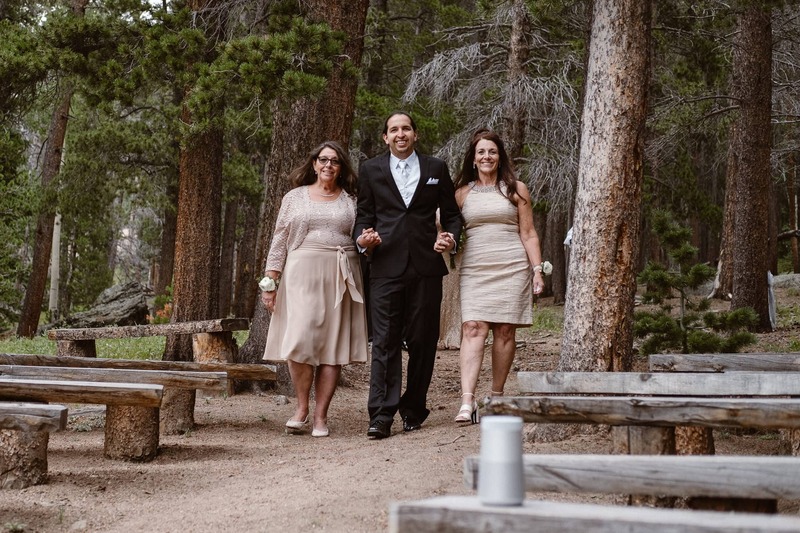 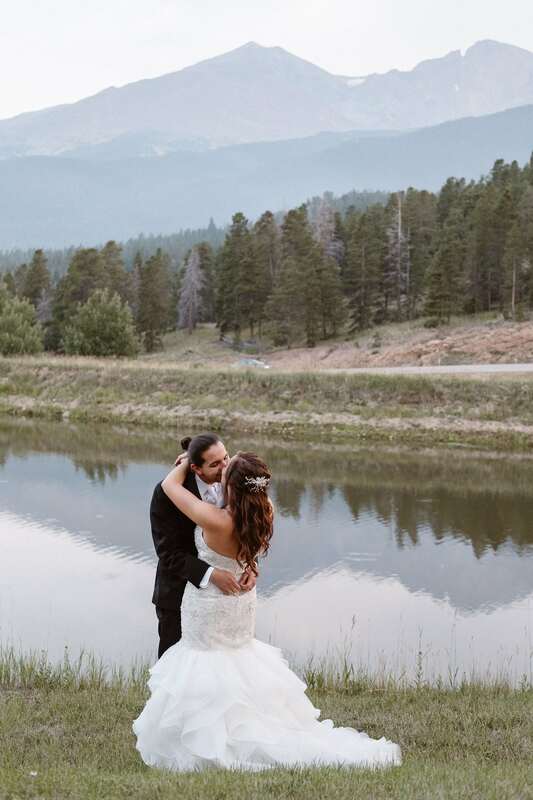 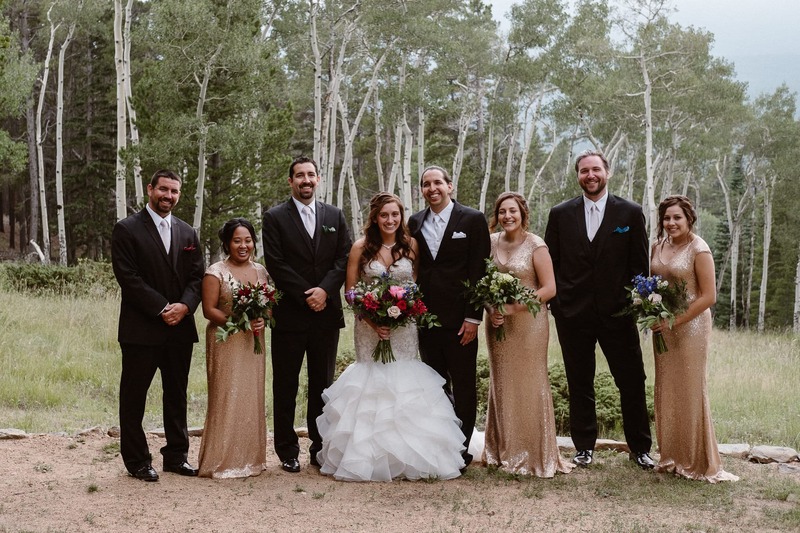 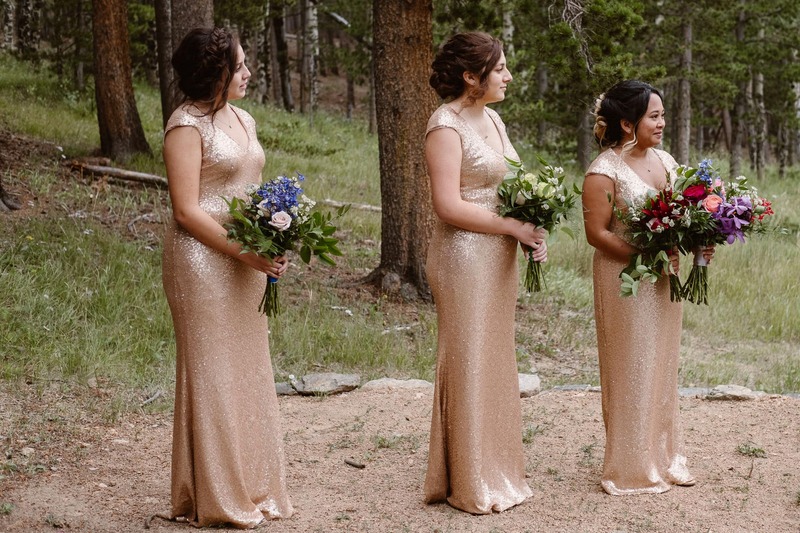 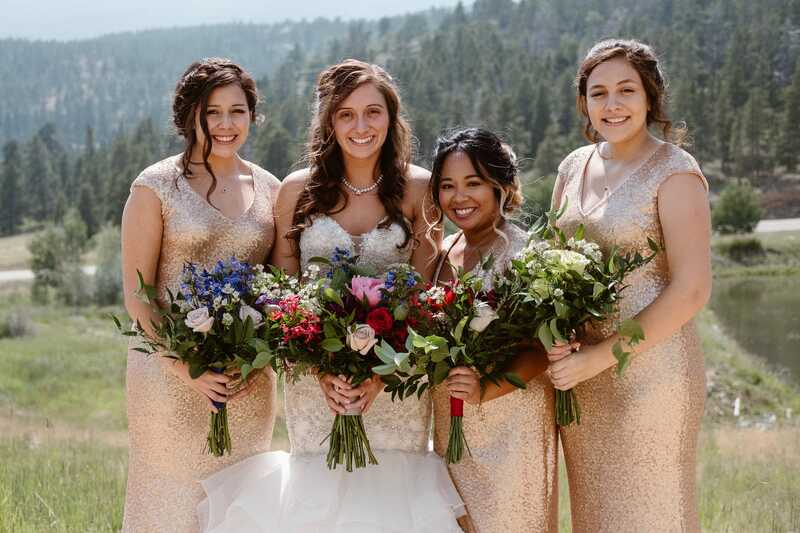 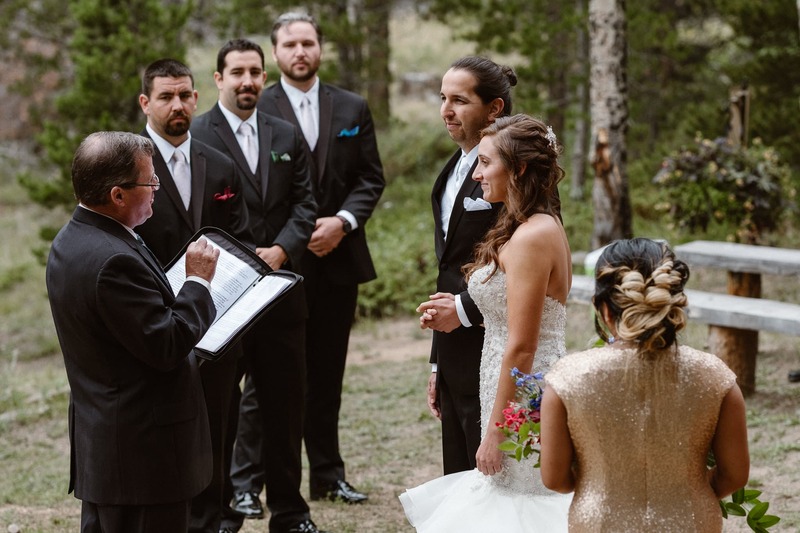 And by the time their wedding day at Dao House on the outskirts of Estes Park rolled around, I felt like I had been looking forward to this day for years. 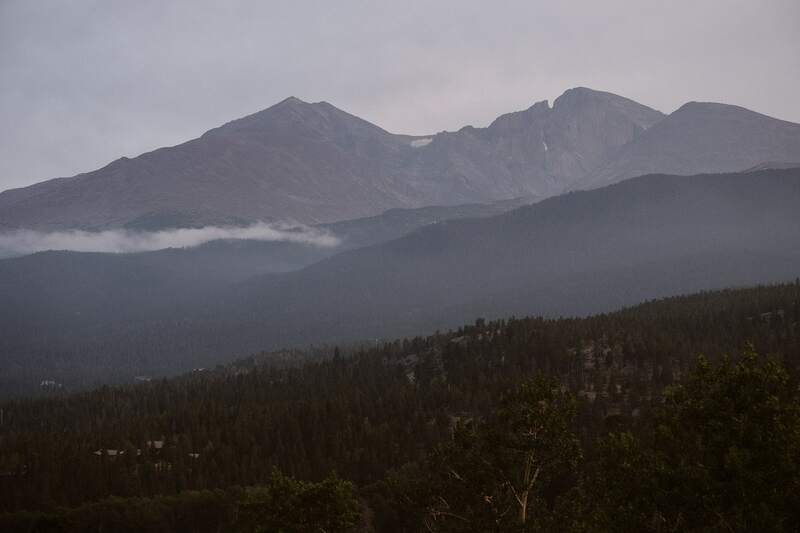 As I drove up towards Estes Park, I kept driving through heavy rainstorms interspersed with bright sunshine. 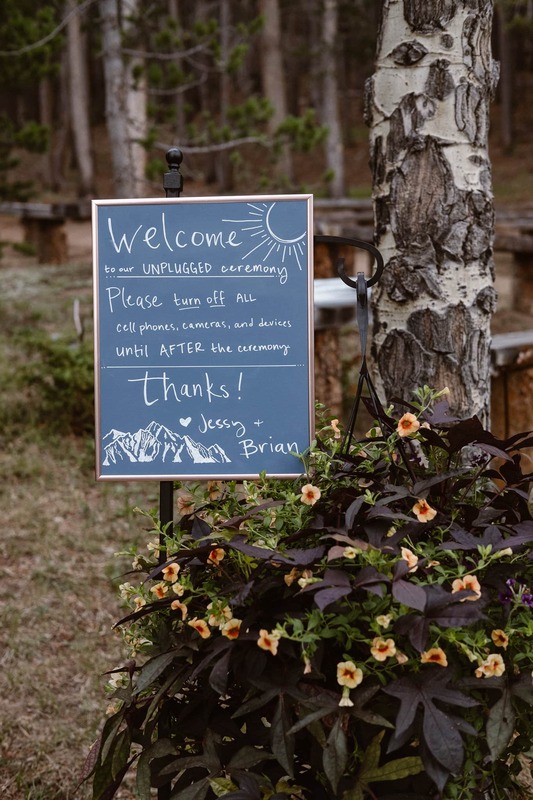 The weather is always such a wild-card for a Colorado mountain wedding, but luckily the heavy rain stayed away from Jessy and Brian’s ceremony. 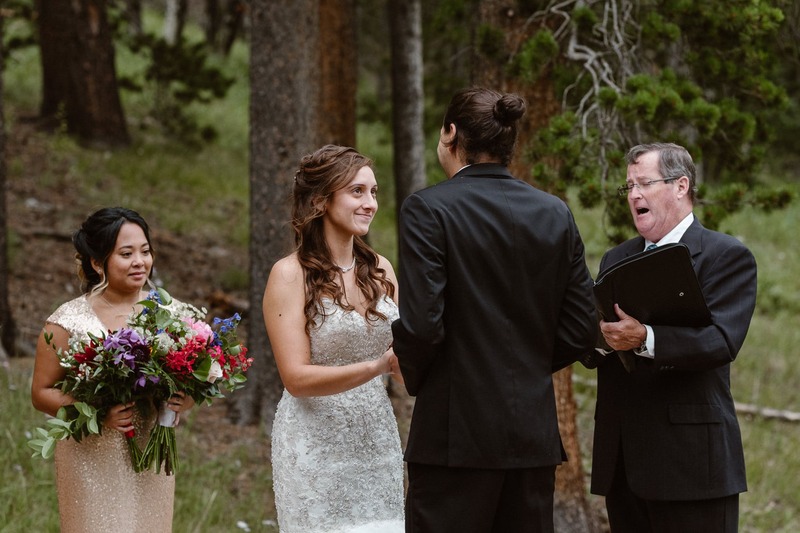 And a good thing at that! 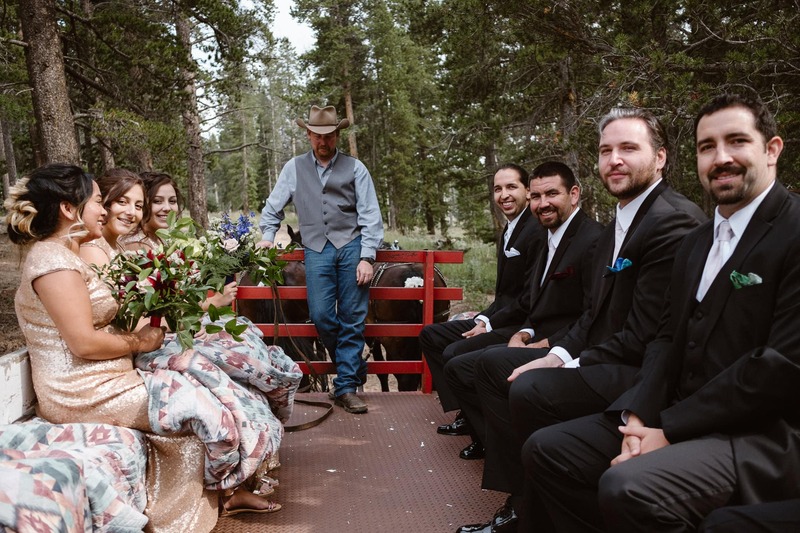 One of the most fun parts of working as a Dao House wedding photographer is how everyone has to ride a horse-drawn carriage up to the ceremony site. 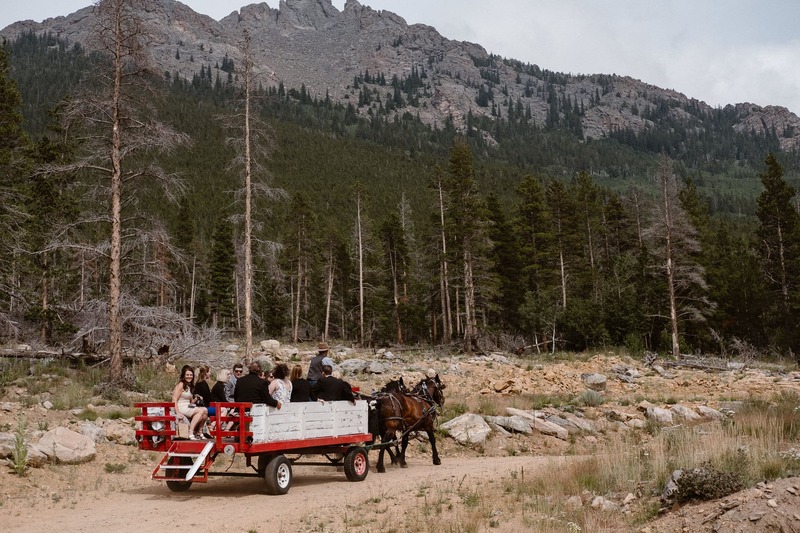 It’s a slow and scenic ride, and we were all pretty stoked to stay out of the rain. 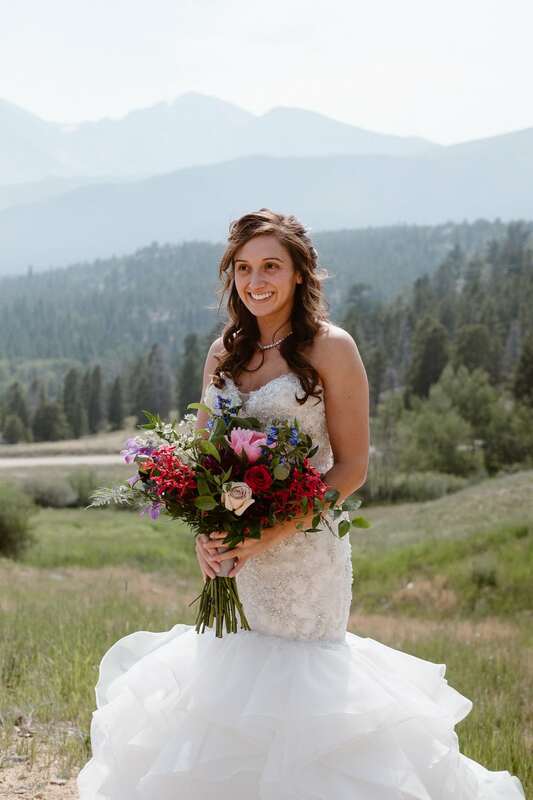 Jessy is a self-proclaimed ‘rock hound’ who loves collecting gems and rocks. 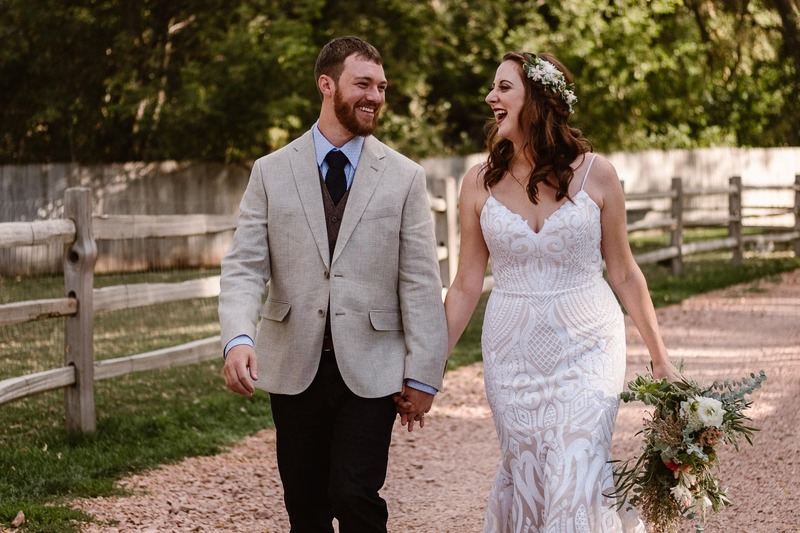 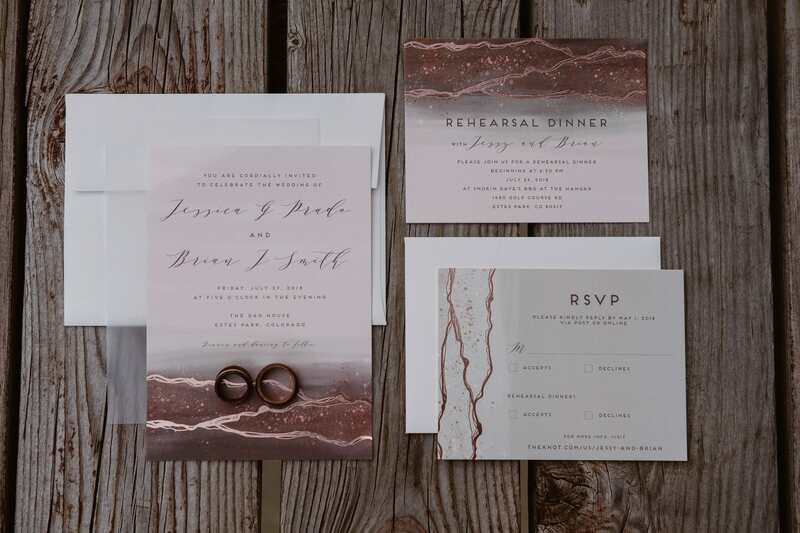 She put so many personal touches on their wedding decor to match her hobby. 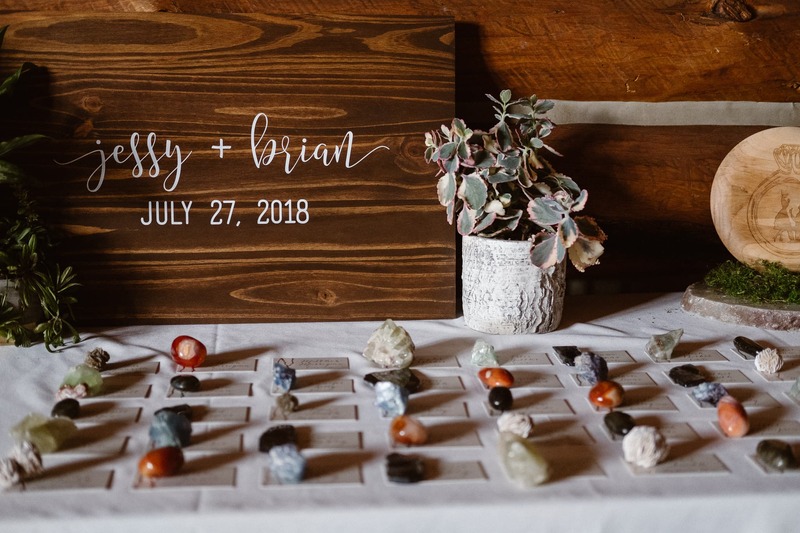 Each place card came with a gem that she had collected. 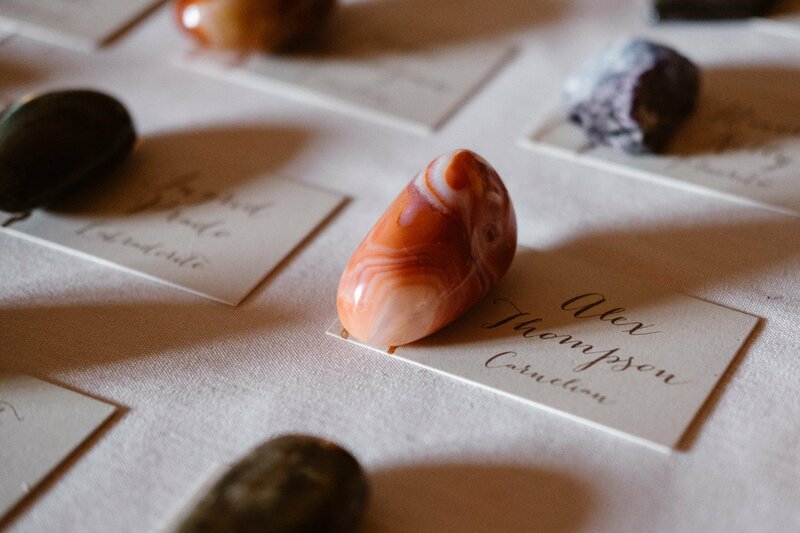 The centerpieces were large gems, with accompanying fact cards for the guests to read. 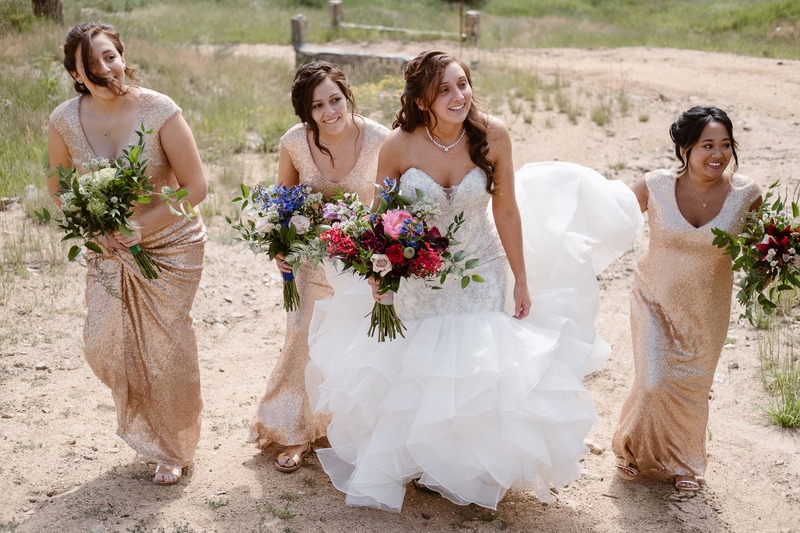 And her bridesmaids each got a colored gem necklace – and their bouquets matched their necklace color! 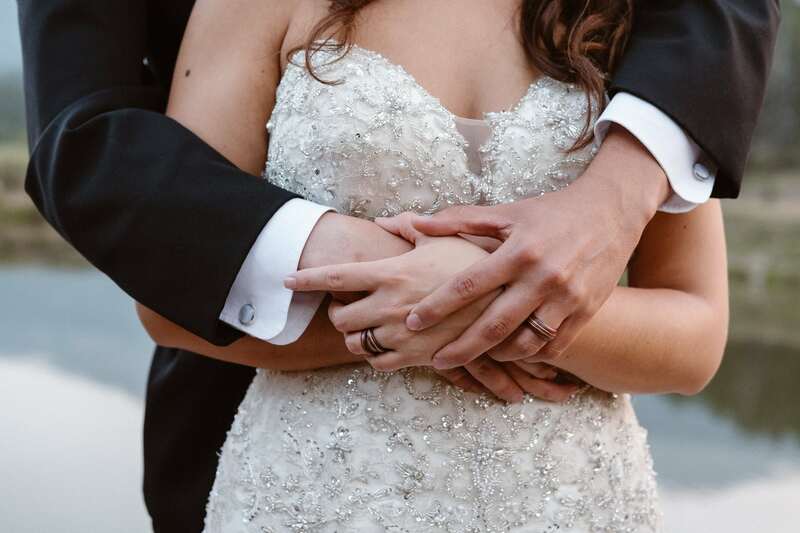 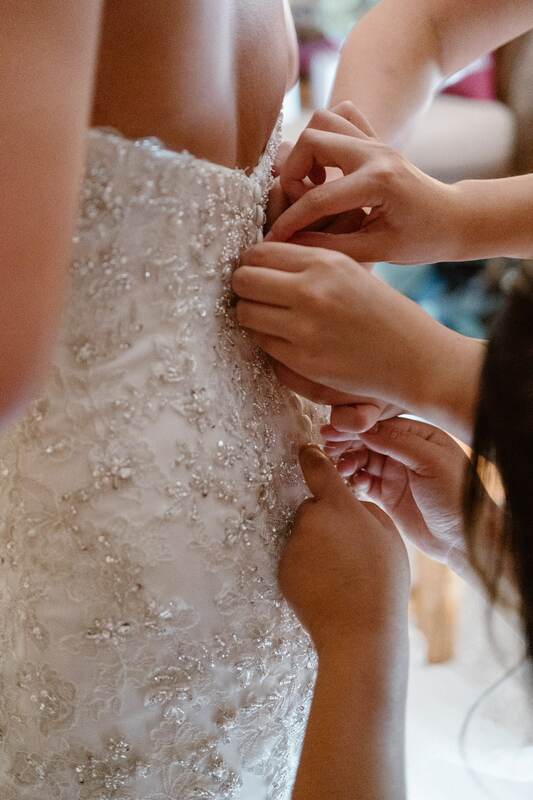 I love when couples put personal touches on their weddings, and I had so much fun capturing all these details as their Dao House wedding photographer. 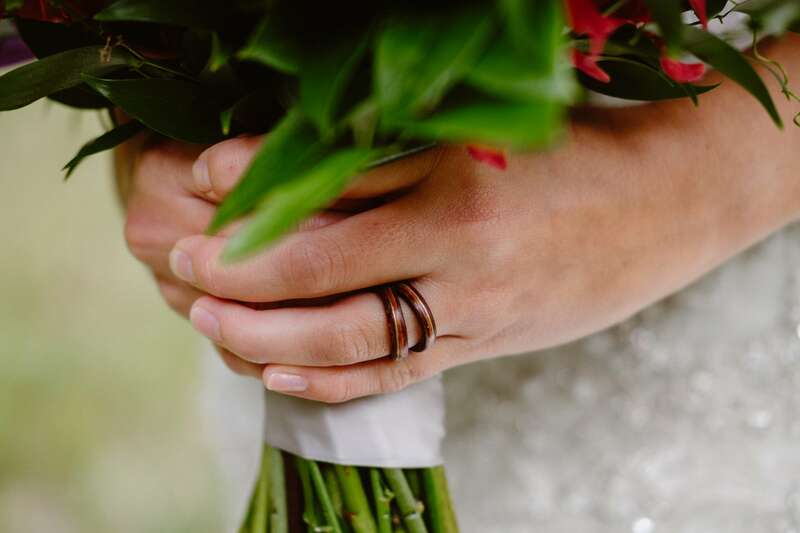 Speaking of personal touches, it doesn’t get much more personal than the wedding rings. 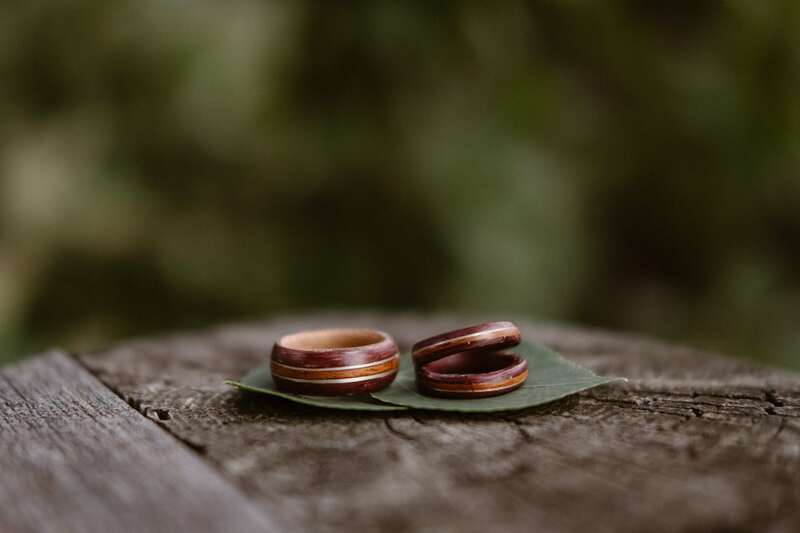 And Brian, the groom, had hand-carved both of their wedding bands from wood! 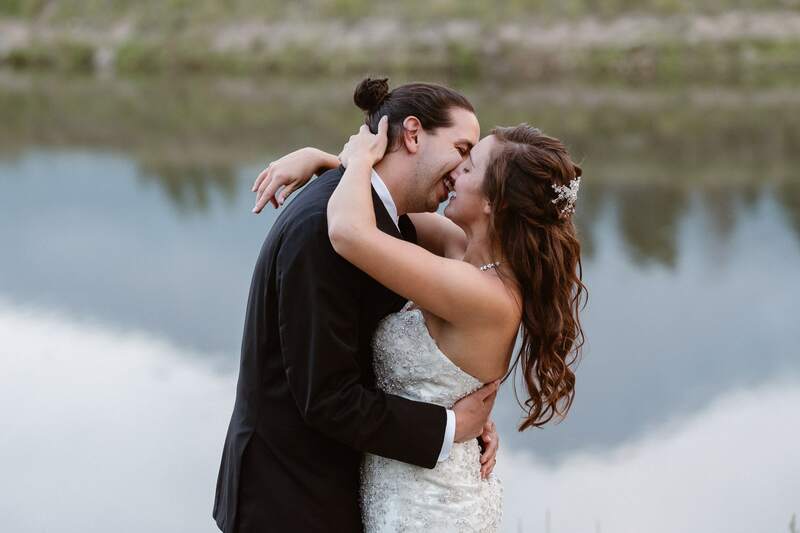 The couple also loves playing ultimate frisbee, and Brian actually proposed to Jessy with a hand-carved wooden frisbee that shows a man proposing – it’s the cutest darn thing I’ve seen! 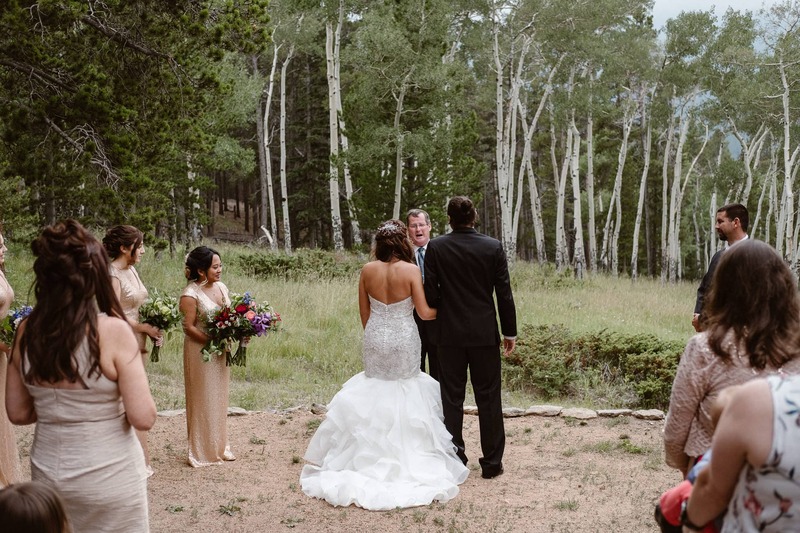 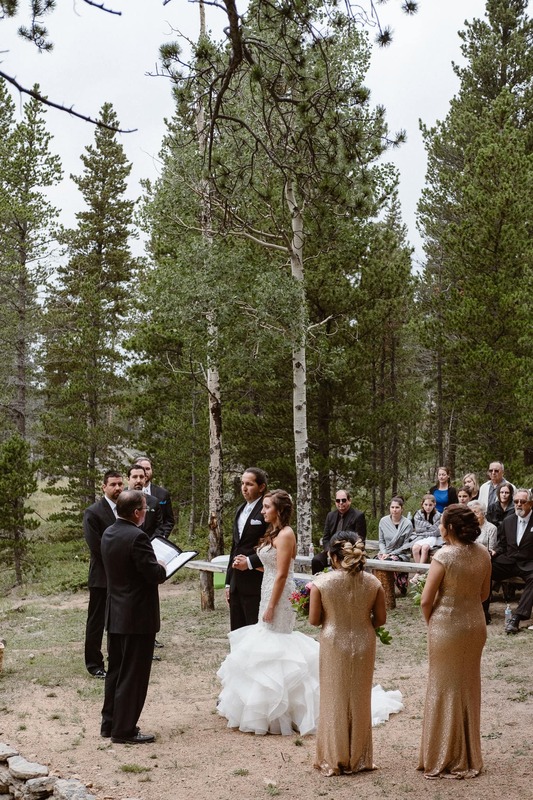 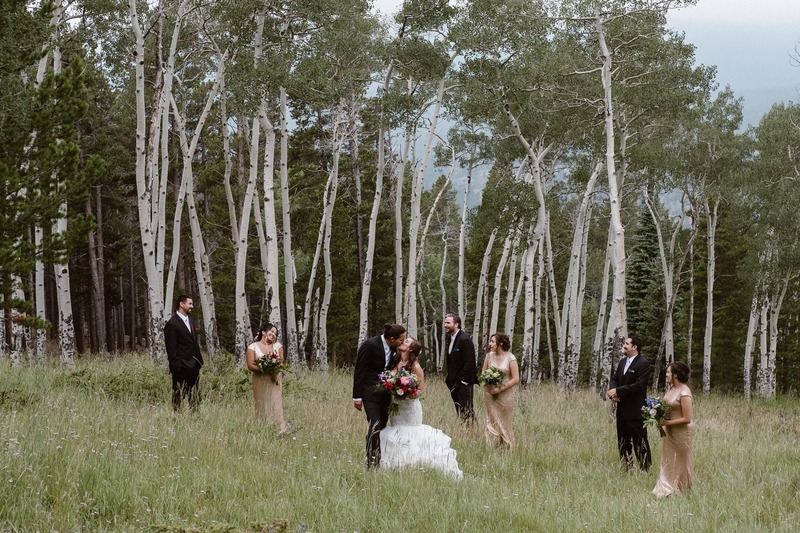 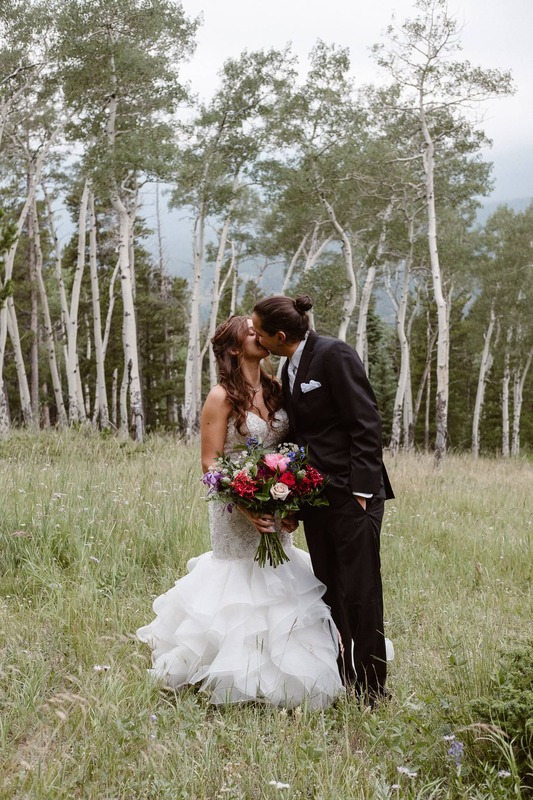 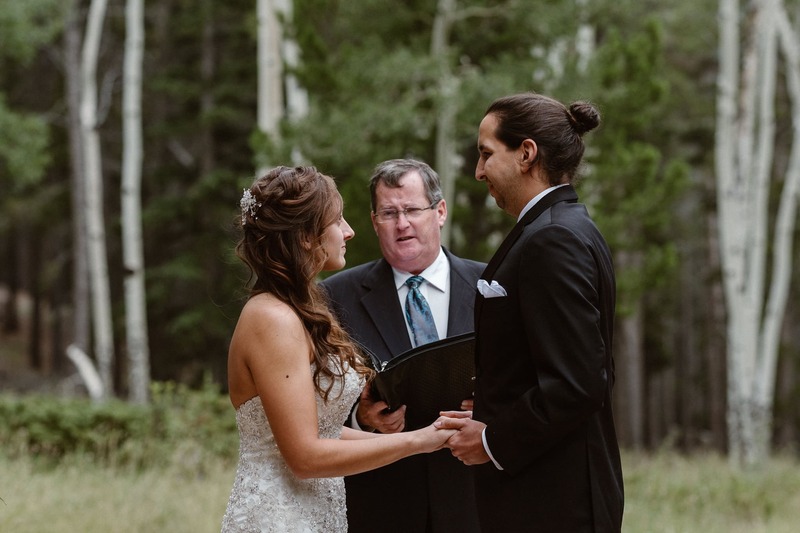 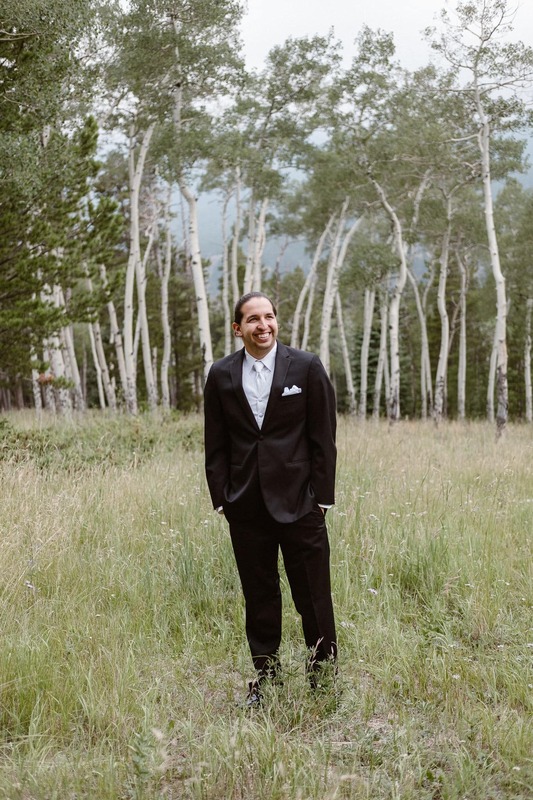 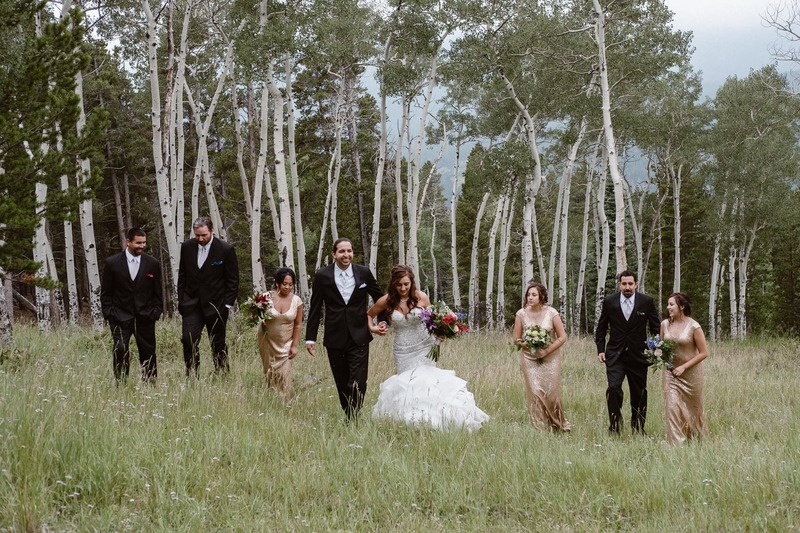 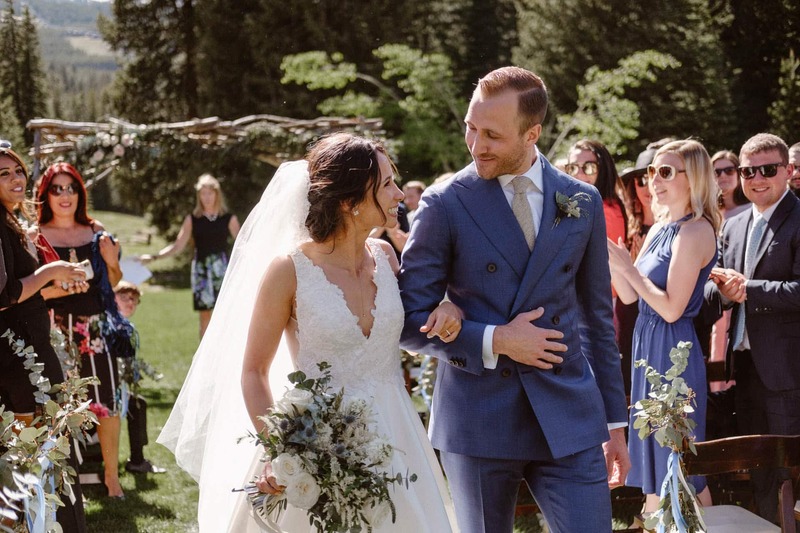 After their emotional ceremony in the midst of an aspen grove, we all headed back down to the reception venue for a delicious meal and dancing. 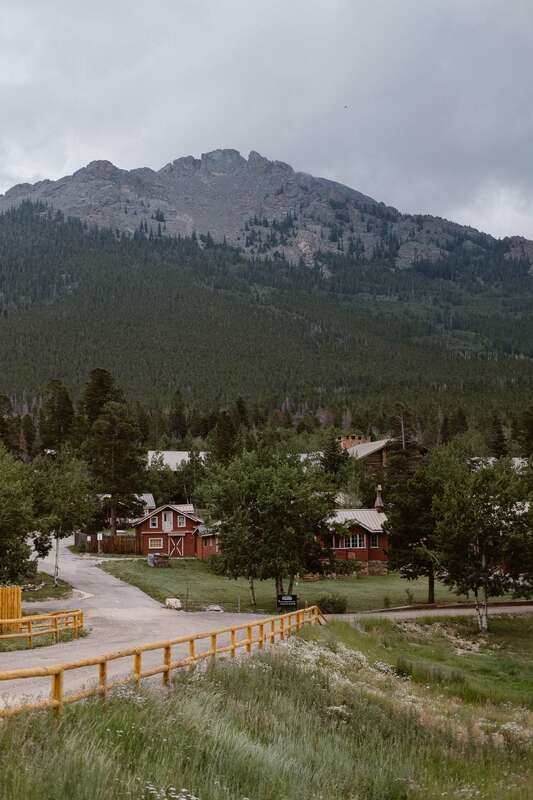 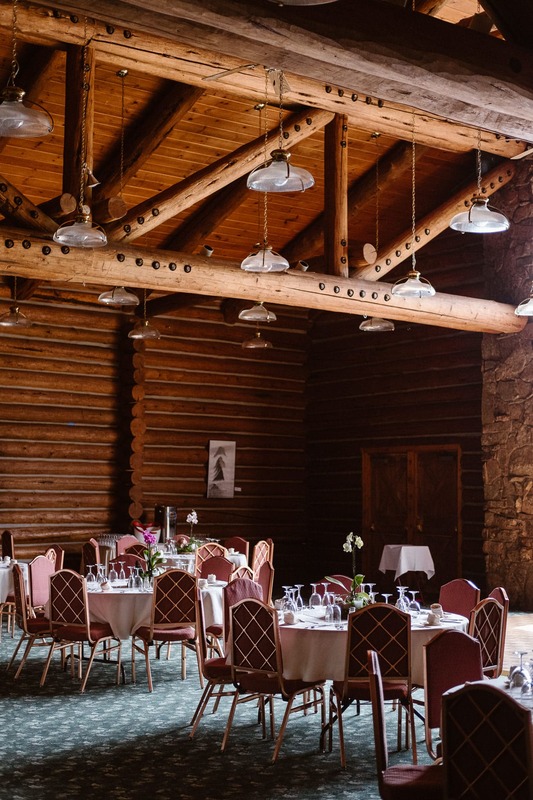 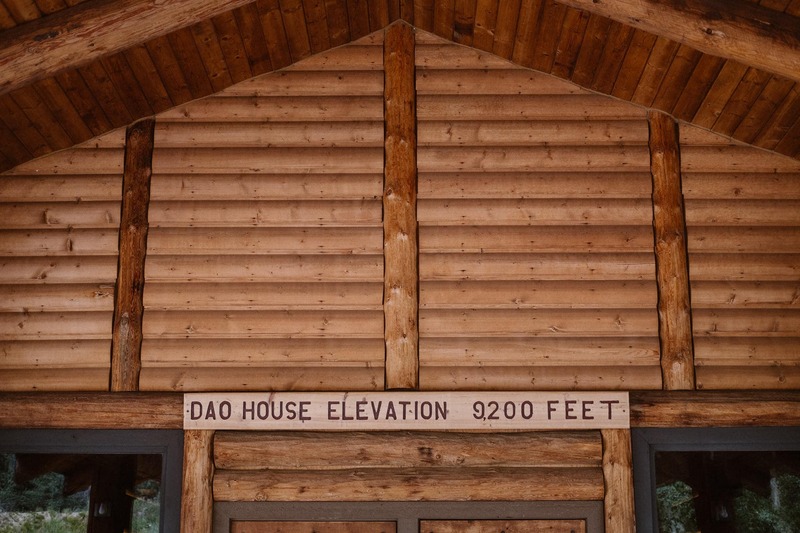 One of the coolest things about this Colorado mountain wedding venue is that the Dao House doubles as an event retreat center. 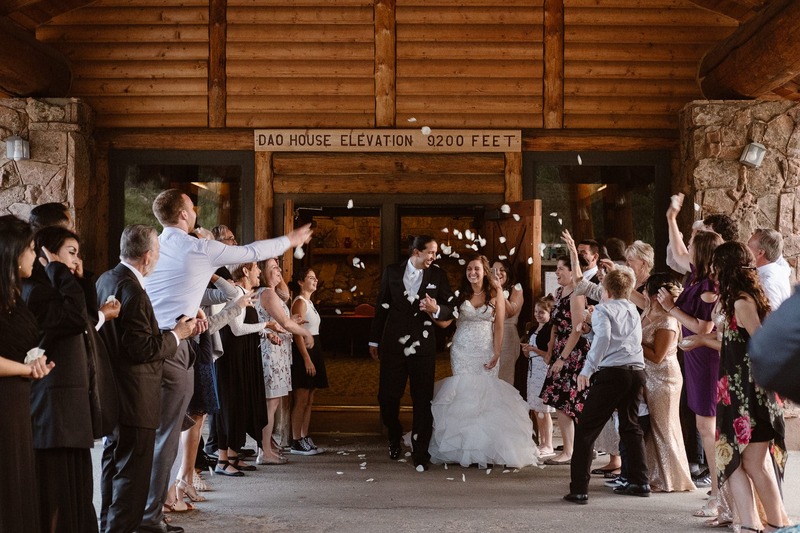 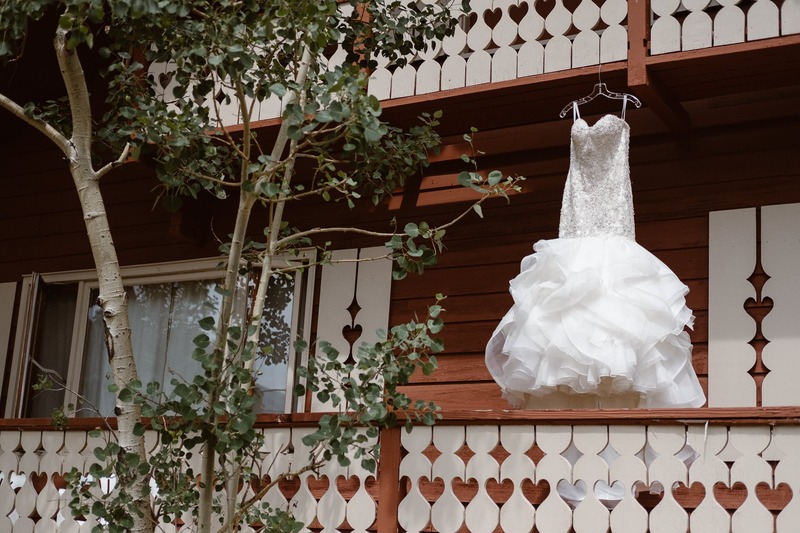 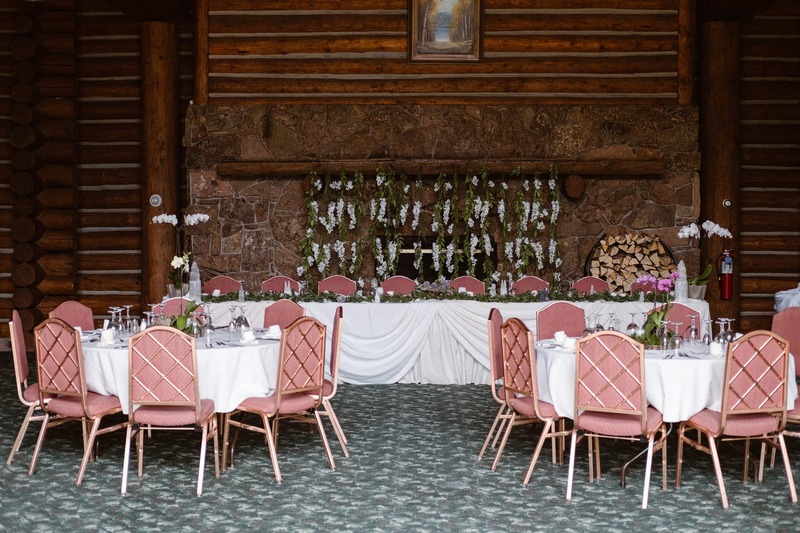 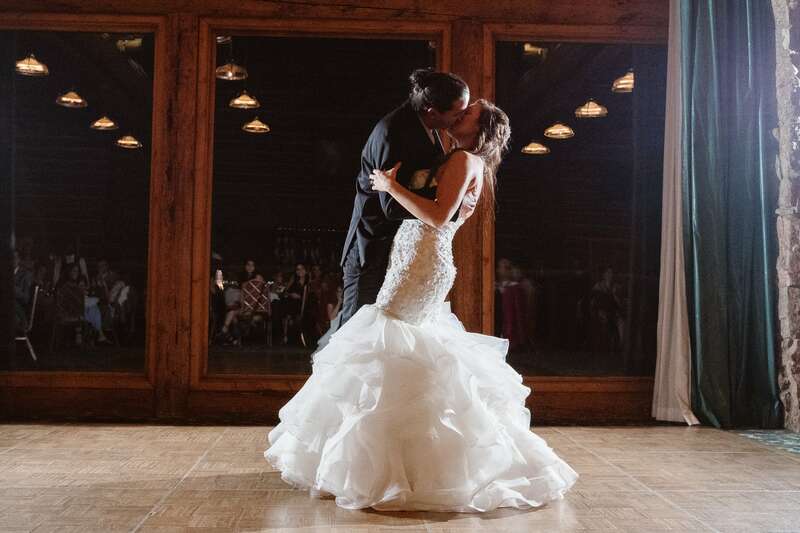 Couples can rent out the cabins and rooms so that their guests can all stay together at the venue the weekend of the wedding! 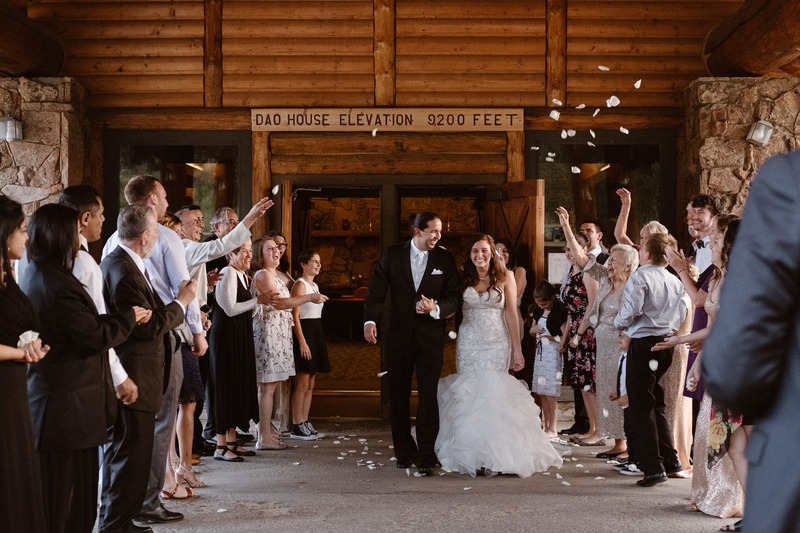 I think this is such a great way to turn a normal wedding into a full weekend of hanging out with friends and family, and I’d love to come back as a Dao House wedding photographer for other couples in the future. 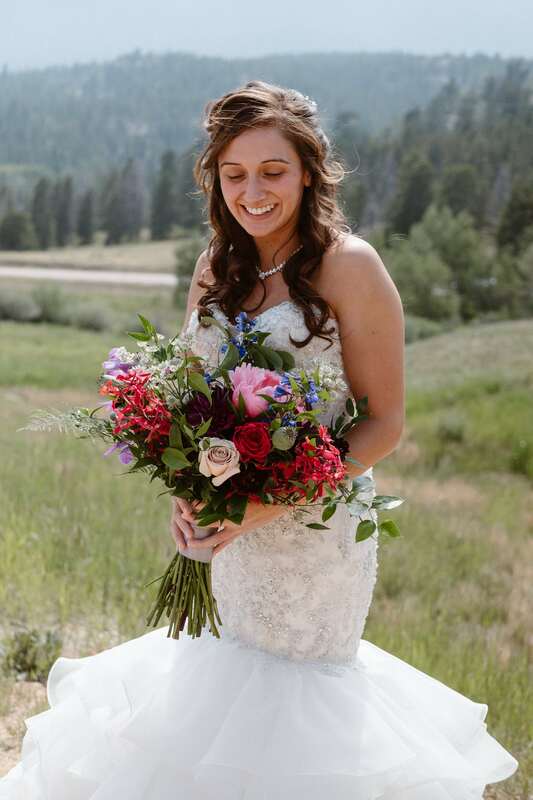 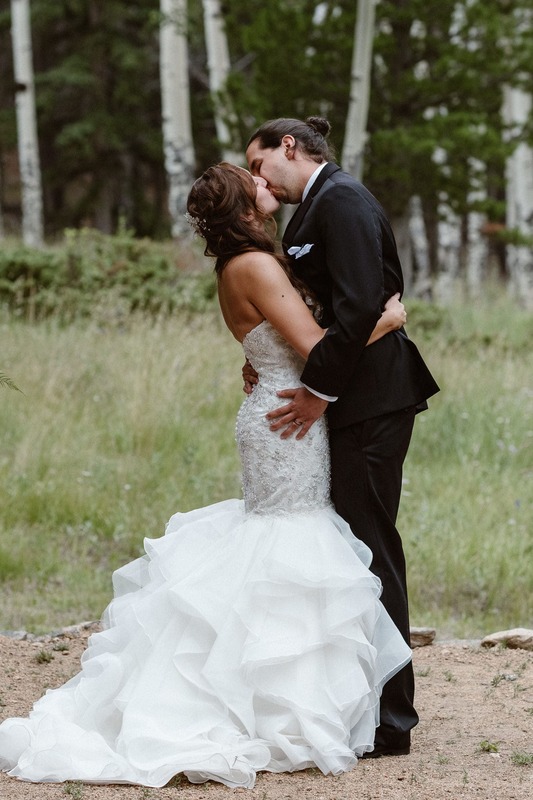 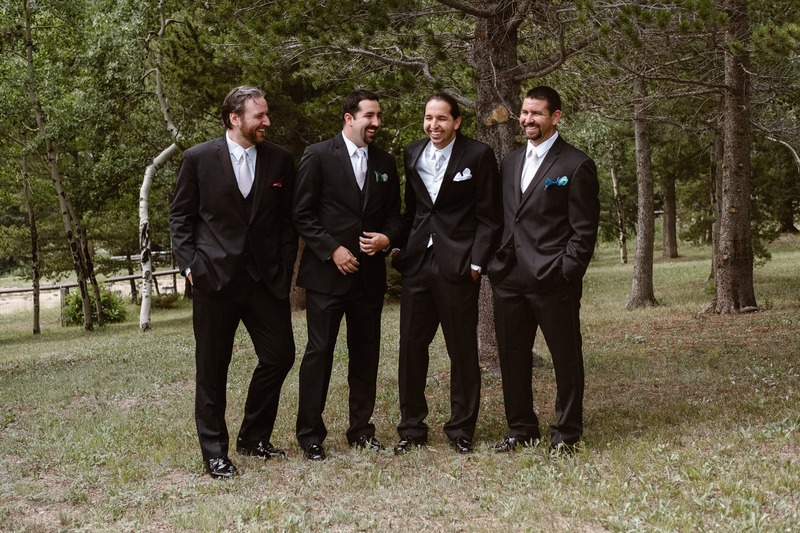 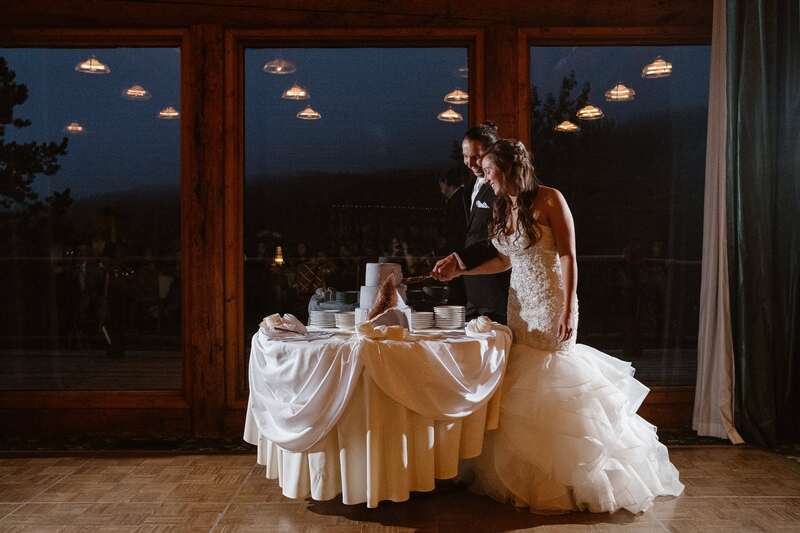 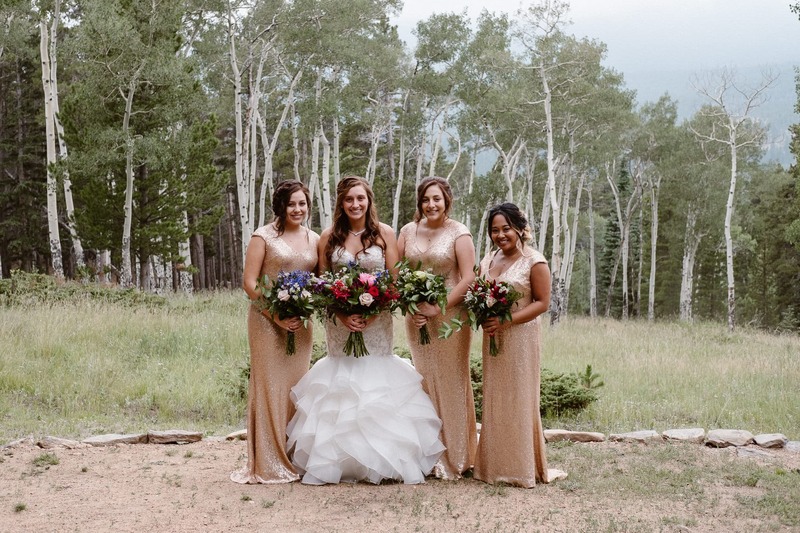 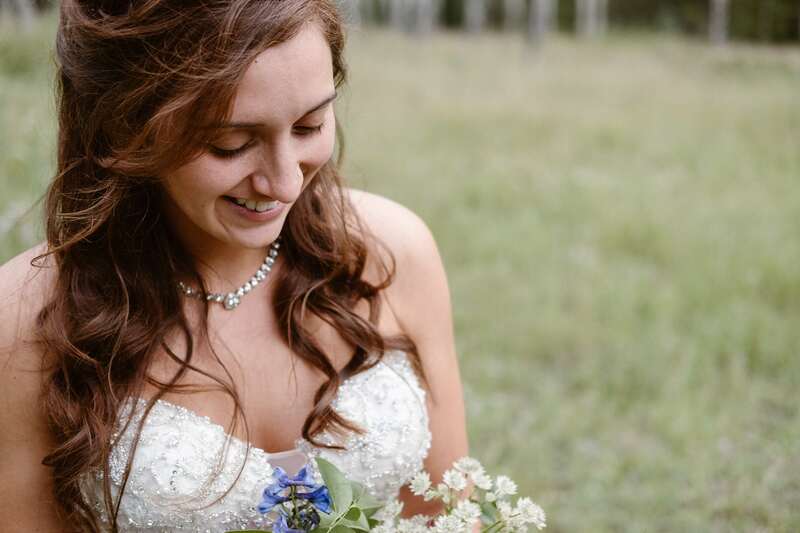 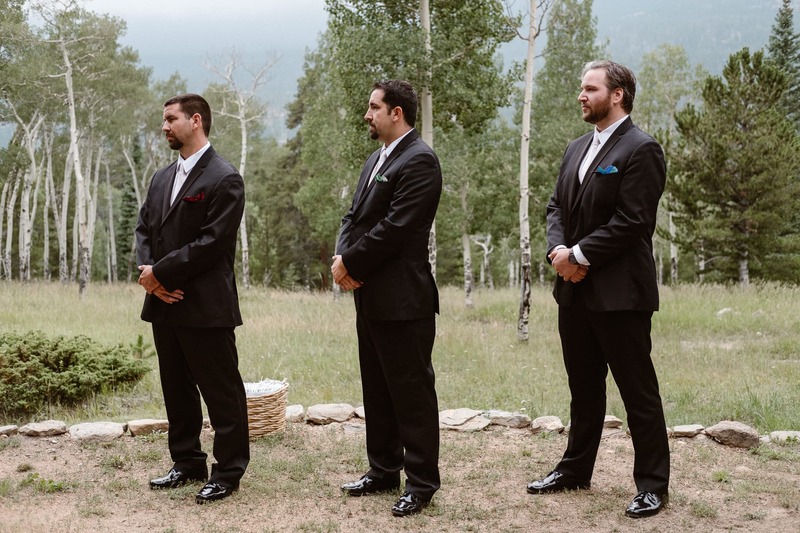 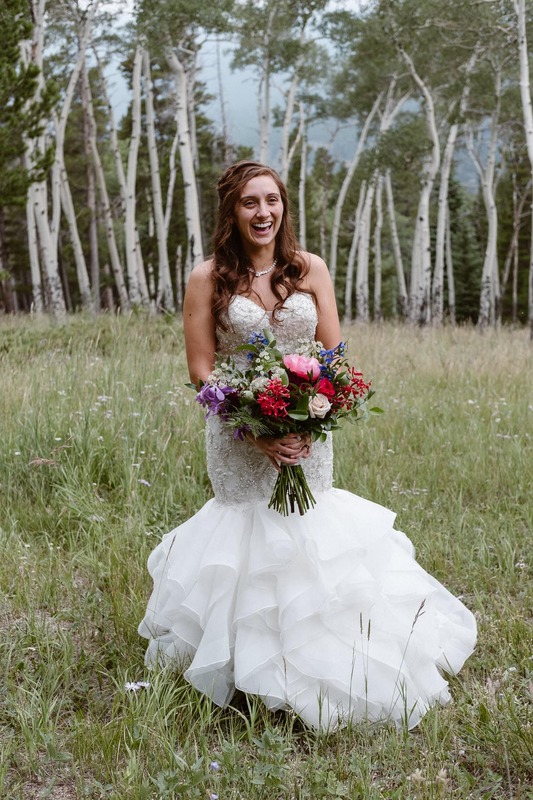 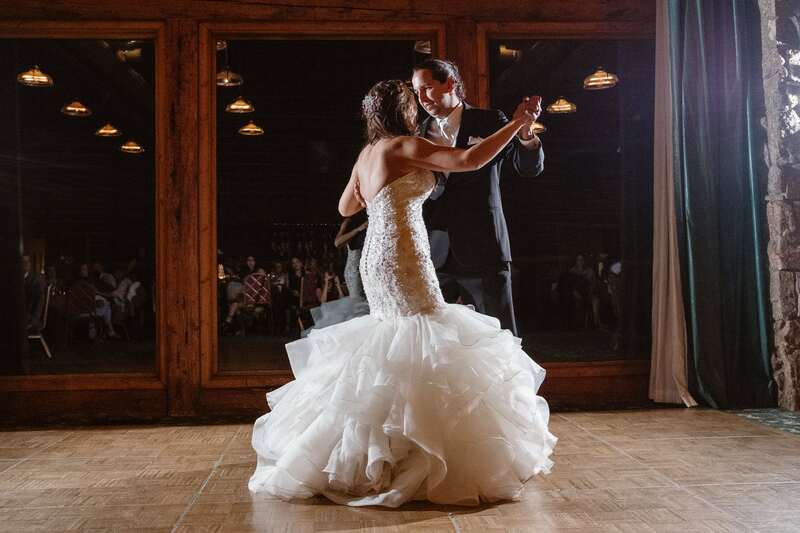 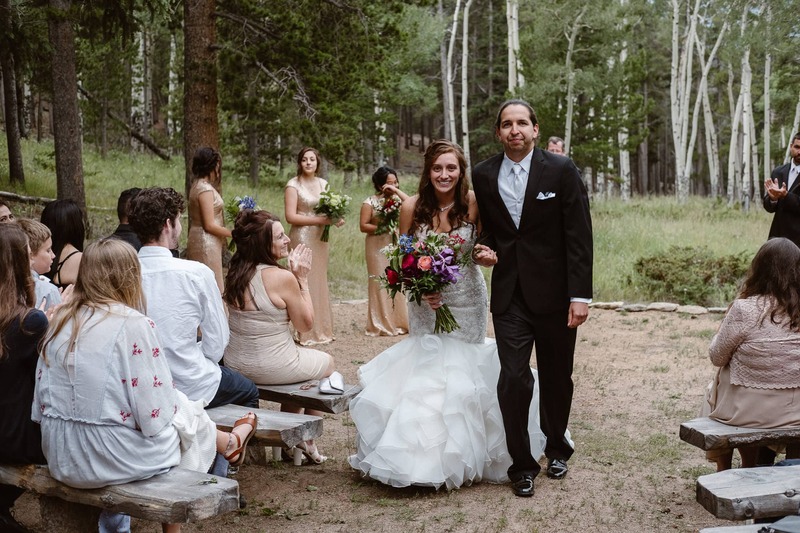 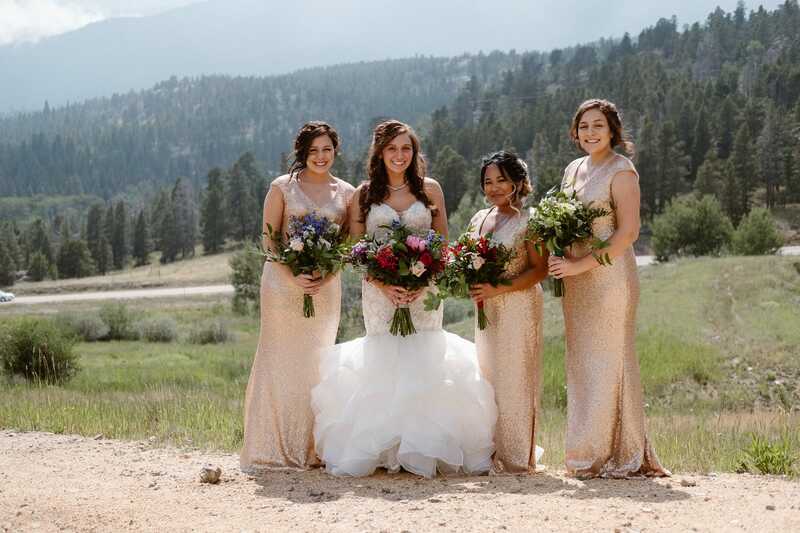 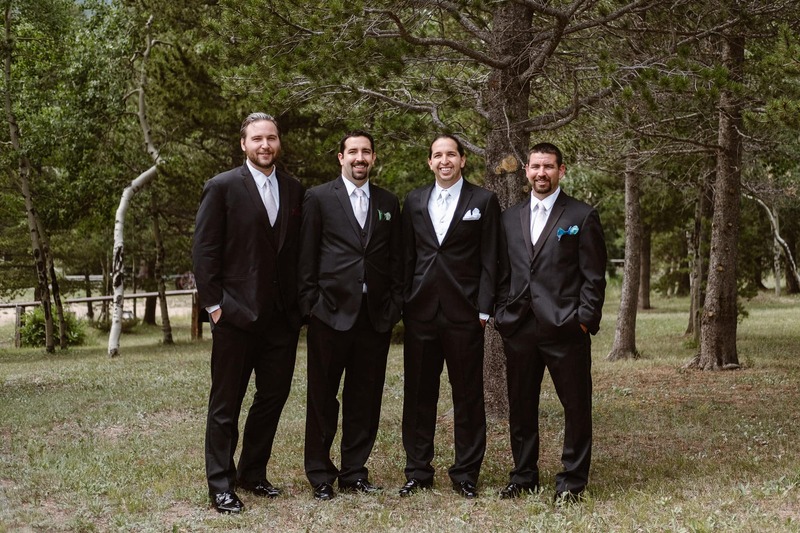 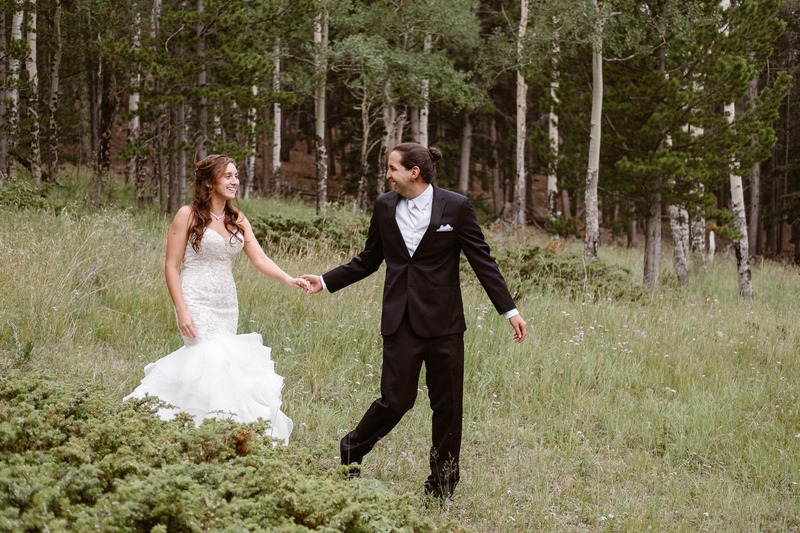 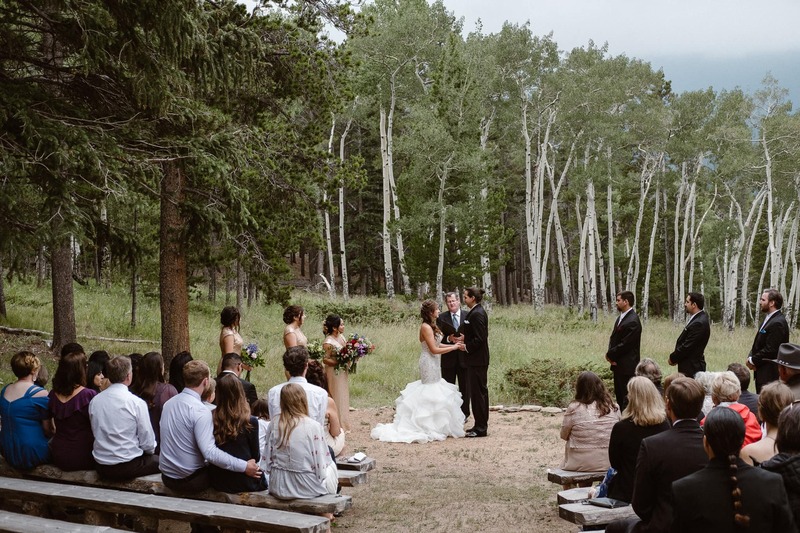 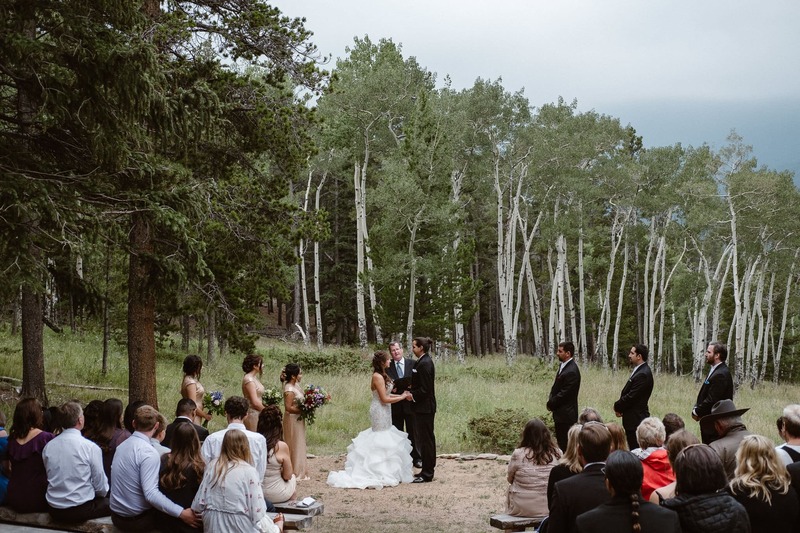 If you’re planning a Colorado mountain wedding at the Dao House, get in touch and let’s chat about your photography!